One of the things I love most about spring is how fresh everything feels. Our favorite fruits and vegetables start appearing at the farmer's market, we start planting our garden, and we can eat meals outside on our deck. As I'm planning this year's garden and dusting off the deck furniture for an al fresco family dinner I realized something. I'm looking forward to feeding my kids healthy, fresh meals this season, so why not do the same for my dogs? 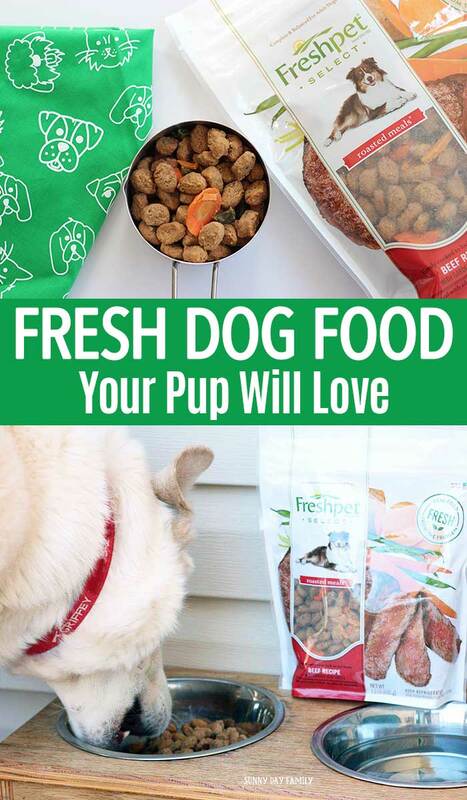 Fortunately, it's easy to find fresh dog food that your best friend will love thanks to Freshpet. My big dog Griffey can be a bit of a picky eater. When it comes to food, it has to be delicious for him to get interested. That's why Freshpet is a perfect choice for him (and for me). 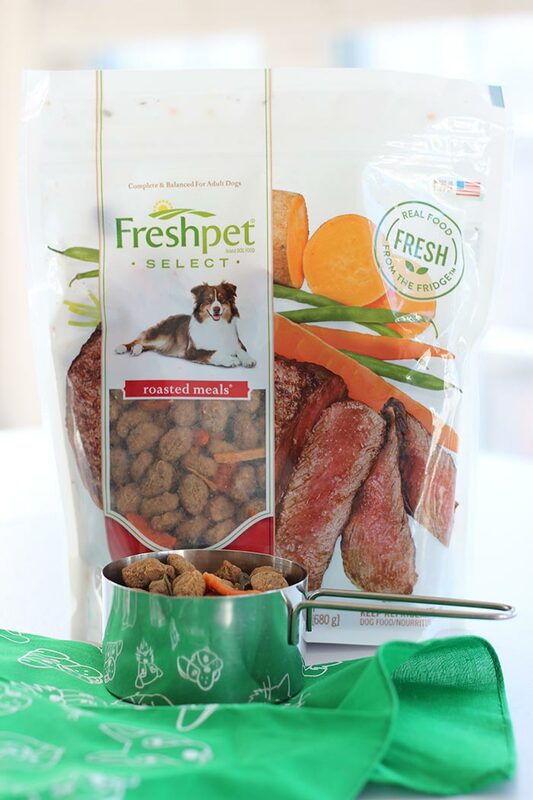 Freshpet is real, all natural pet food without additives or preservatives. It comes straight from the refrigerator to your dog's bowl for a healthy, real food meal that he will love. 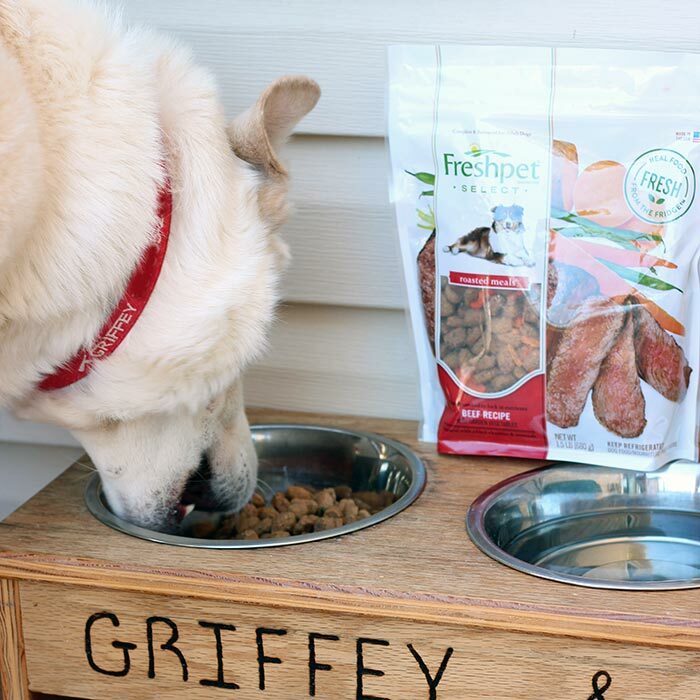 Griffey has tried other varieties of Freshpet food before and always loved them, so I had a feeling that Freshpet's Beef Roasted Meals would be a hit too. This Tender Beef Recipe meal has 100% Farm Raised Beef as its first ingredient. You won't find by-product meals or crazy ingredients you can't pronounce - just things like antioxidant rich green beans, sweet potatoes, and carrots you can see. 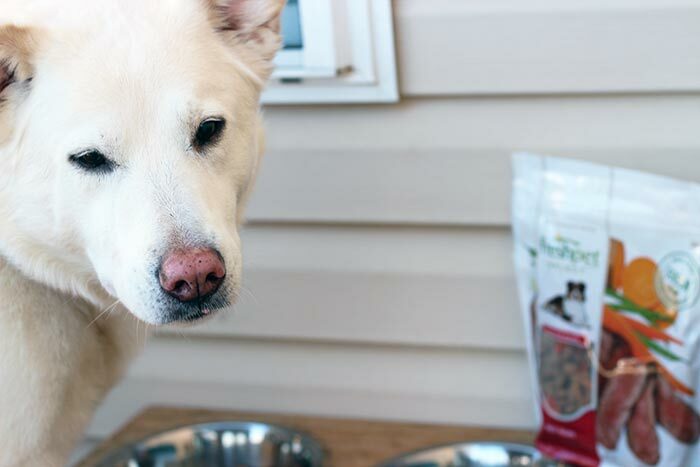 It's as close to a home made meal for your pet as you can get without having to spend time in the kitchen (except to grab the bag from the refrigerator). But don't take my word for it. I'll let you know what Griffey had to say about Freshpet instead. As soon as I pulled the Freshpet bag out of the refrigerator Griffey started dancing around the kitchen in that "please I want that so bad but I know I'm not allowed to jump up on the counter" kind of way. I told him we were actually heading out to the deck to enjoy our lunch outside and he beat me to the door (and almost crashed through the screen). Once I put down the bowl he didn't hesitate. Even the birds flying overhead (who he usually needs to chase) didn't distract him from his Freshpet lunch. He devoured it in one sitting, which is pretty impressive for a dog who normally only nibbles a little at a time. I'm pretty sure this is his "Mom? Can I have some more?" face. 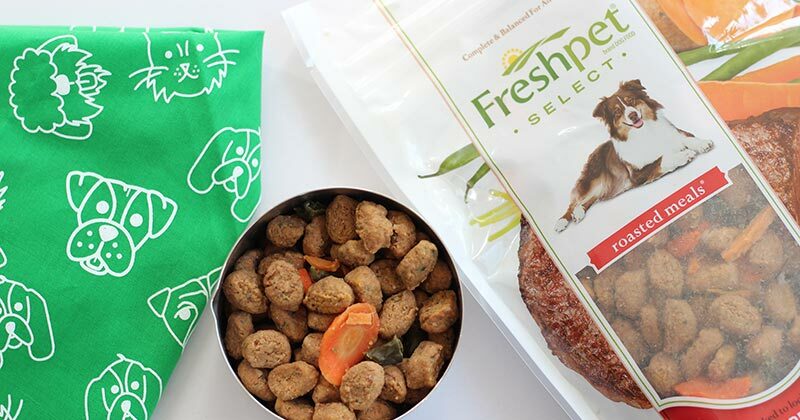 Freshpet is definitely a great choice if you want to give your dog an all natural meal with real meat they will love (and I love that it's made just a couple of hours from here in Bethlehem, PA). 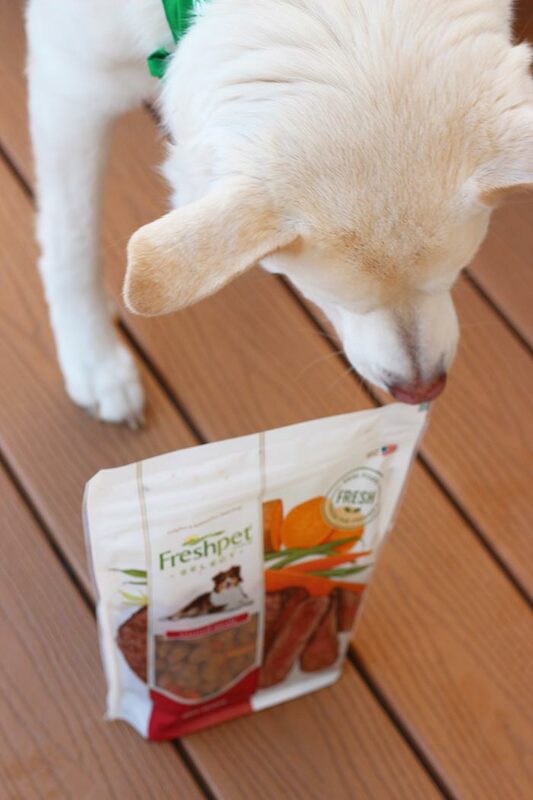 Find Freshpet near you and help your four legged family members get a little more fresh this spring. Be sure to follow Freshpet on Instagram and Facebook for adorable pup pictures and more!